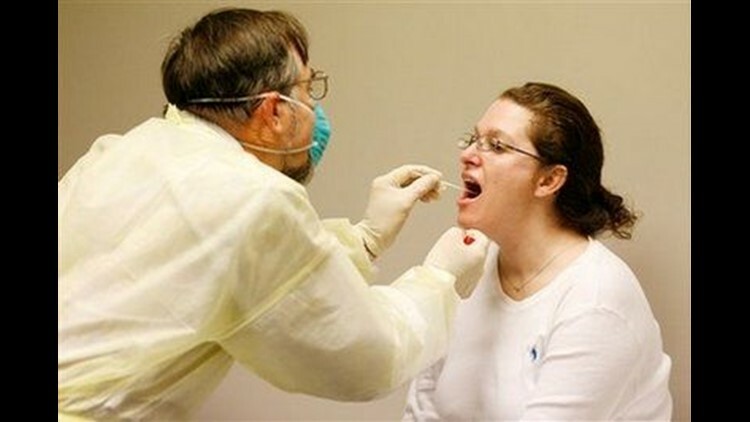 NEW YORK - The tally of confirmed swine flu cases in the United States jumped Sunday to 245 in 35 states, but officials said that's largely from catching up on a backlog of lab tests rather than a sudden spurt in new infections. The new count reflects streamlining in federal procedures and the results of tests by states, which have only recently begun confirming cases, said Dr. Anne Schuchat of the Centers for Disease Control and Prevention in Atlanta. Because states are now contributing their results, and because there are many cases to analyze, "I expect the numbers to jump quite a bit in the next couple days," she told reporters Sunday. Beyond eating into the backlog, the new number also reflects that "we do think this virus is fairly widespread," she said. "Virtually all of the United States probably has this virus circulating now. That doesn't mean that everybody's infected, but within the communities, the virus has arrived." Early Sunday, the CDC updated its number to 226 cases in 30 states, up from 160 in 21 states. Later, five more states reported confirmed cases, and new illnesses elsewhere were added to the tally. Mexico's health secretary said Sunday that his country's outbreak is "now in its declining phase," but Schuchat noted that the United States got off to a later start. "We believe we are just in the upswing here," she said. Scientists are still gathering information on how severe the nation's 30 hospitalized cases are, she said. They are mostly older children and young adults, in contrast to ordinary flu, which tends to send the elderly and very young to the hospital, Schuchat said. The only swine flu death in the U.S. is that of a Mexican toddler who was visiting Texas. Local authorities announced more school closings Sunday, including all 24 schools in a district west of Detroit after a high school student came down with an apparent case of the illness. On Sunday's talk shows, U.S. health officials said they were cautiously optimistic that the swine flu isn't as dangerous as first feared, but urged people to keep taking commonsense precautions. They said they can't predict if the virus will roar back in the fall. "The good news is when we look at this virus right now, we're not seeing some of the things in the virus that have been associated in the past with more severe flu. That's encouraging, but it doesn't mean we're out of the woods yet," said Dr. Richard Besser, acting CDC chief. With swine flu, or the H1N1 flu as the government prefers to call it, now in more than 30 states and counting, authorities say it's spreading just as easily as regular winter flu. But, as Besser appeared on talk shows with the president's health and homeland security chiefs, they said that it doesn't seem to cause as severe a disease as it did in Mexico. A big concern is whether the virus will return, perhaps harder, when regular influenza begins its march here. Flu season in the Southern Hemisphere is about to begin, and U.S. authorities will watch how the swine flu circulates there over the coming months as they prepare the first vaccine and then decide whether to order that large amounts of it be produced in the fall. Production of regular winter flu vaccine is going full-tilt, "to make sure we kind of clear the decks," Health and Human Services Secretary Kathleen Sebelius said. "We are testing the virus strain for H1N1 virus so that we're ready to go into production later, in a month or two, when we make sure that we have the right dosage and the right tests. So we'll be ready for both," she said. Even if the swine virus doesn't prove as potent as authorities first feared, Besser said that doesn't mean the U.S. and World Health Organization overreacted in racing to prevent a pandemic, or worldwide spread, of a virus never before seen. With a new infectious disease, "you basically get one shot, you get one chance to try to reduce the impact," Besser said. "You take a very aggressive approach and as you learn more information you can tailor your response." It was just over a week ago that authorities learned the new flu CDC had detected in a few people in California and Texas was causing a large outbreak and deaths in Mexico, triggering global alarm. "We didn't know what its lethality was going to be. We had to move. Once you get behind flu, you can't catch up," Homeland Security Secretary Janet Napolitano said.